It’s the end of the week! Time to get your retro (or otherwise) gaming fix on for the weekend. Personally, I’ll be giving my newly set up retro gaming room a test drive. Maybe I’ll even write an article about it sometime… Anyway, on with today’s news; there’s a fair bit to share, that’s for sure. 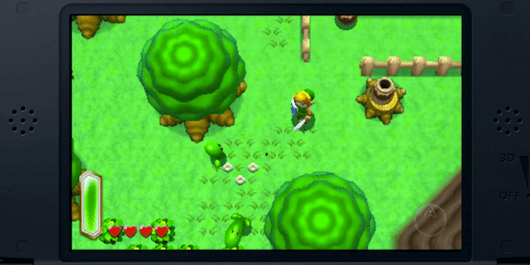 ‘The Legend of Zelda: Kamigami no Triforce 2’, a direct sequel to the SNES classic ‘A Link to the Past‘, will be released with a new storyline, puzzles and dungeons. 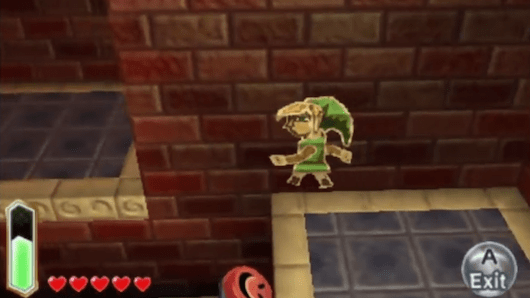 In addition, Link will be able to transform into a wall drawing and move along the walls…intriguing! 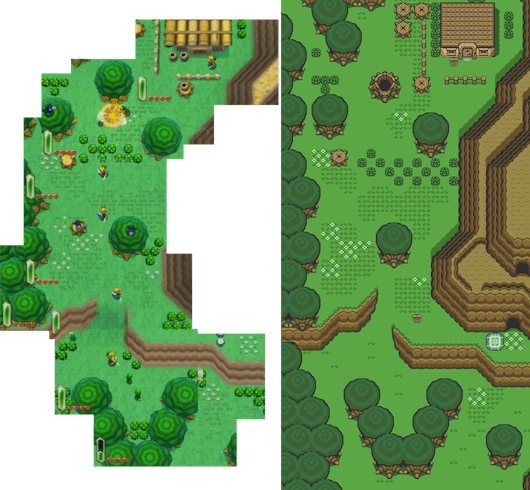 Kotaku have already done a quick analysis and it seems that the overworld is essentially the same as the original [link]. In addition, check out buy cialis discount some gameplay footage here. Expect the game in the second half of 2013. ‘Yoshi’s Island’ will in fact be the third incarnation of this beloved series. The game (release date TBA) will include all of the expected moves as well as those that take advantage of the 3DS’s abilities. ‘Mario & Luigi: Dream Team’ will involve moving between the real world and that of Luigi’s dreams to rescue (guess who?) Princess Peach. This one is both a physical cart and a downloadable title that will be released in August. ‘Donkey Kong Country Returns 3D’, also available in physical as well as downloadable form in late May, is a port of the well received Wii title with the addition of eight new stages accessible beyond the completion of the main game. ‘The Legend of Zelda: Oracle of Ages’ and ‘The Legend of Zelda: Oracle of Seasons’, both originally developed by Capcom for the Game Boy Color, will be coming to the Virtual Console, also in late May. A new 3DS XL bundle with a preinstalled copy of ‘Animal Crossing: New Leaf’ will be released in June. This one finally has me tempted to pick up a 3DS. Phew! It seems that Nintendo are picking up the pace of releases with a definite eye toward those who appreciate nostalgia, or at the very least playing on their classic characters and gameplay mechanics. Here’s a 40+ minute video of the Nintendo Direct announcements with Nintendo’s Satoro Iwata. I’ll admit that this one has me a little confused. The Sourcemod Entertainment System, a new exclusive RXG server plugin (http://www.reflex-gamers.com/) allows players to plug in cartridges into a console, play a simulated (not emulated) version of Super Mario Brothers (only one level at present) using SNES like controllers…all within an FPS! The dedication of the creator is pretty impressive. Check out the YouTube link for more information behind this labour of love. Here’s one that slipped under our radar until now; the ‘Lost Treasures of Infocom’ set of games by Activision Publishing, available for iOS at the iTunes store. 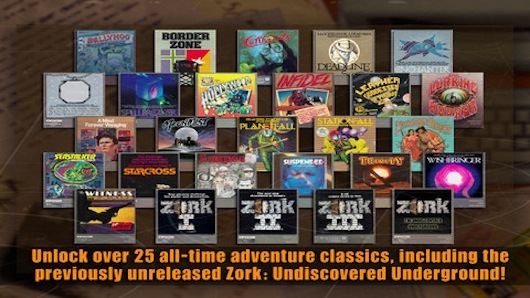 It’s a beautifully presented set of 27 Infocom text adventures with all the Zorks, Planetfall, Infidel, Enchanter and many others including the never before published Zork: The Undiscovered Underground. 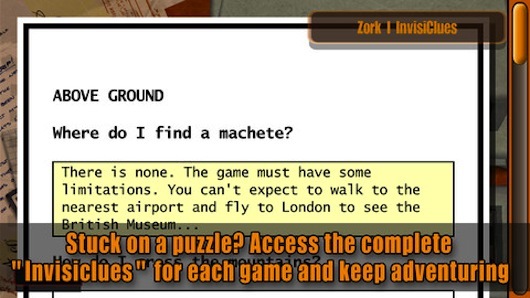 The free version includes Zork I: The Great Underground Empire, with a number of in app purchase options up to $10.50 for the whole shebang. For that perfectly reasonable price you’ll acquire about 350 hours of gameplay (!!! 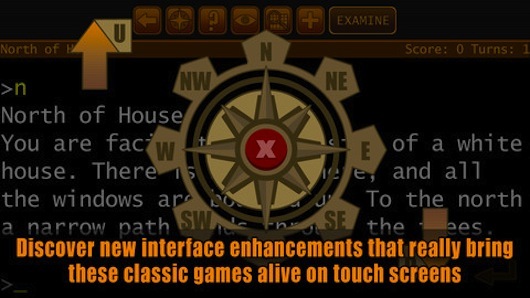 ), an interface adapted nicely for the transition to touchscreen, hint-books, maps, manuals and a number of other bonus and exclusive features that give the impression that this was a real labour of love for the developers. 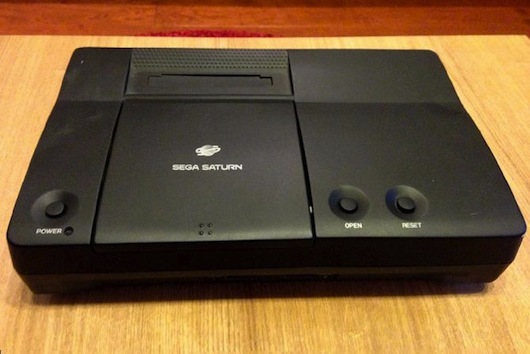 Although I’m well aware of the unreleased Sega Neptune, the Mega Drive / Genesis with built in 32X, another Sega prototype that I was hitherto unaware of has just surfaced. The Sega Pluto (see what they did there?) was essentially a Sega Saturn with a built in NetLink. This prototype, exposed by an ex-Sega employee, is one of only two (or perhaps three) said to exist. Personally, prototype hardware like this intrigues me, often due to the fact that it’s more aesthetically pleasing and better designed than released consoles. For the full story, check out the details at retrocollect.com. 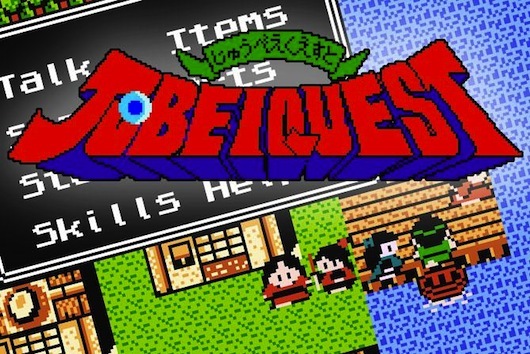 Another tidbit of news, again courtesy of the great RetroCollect website, is word of two recent translations of previous Japan only games. 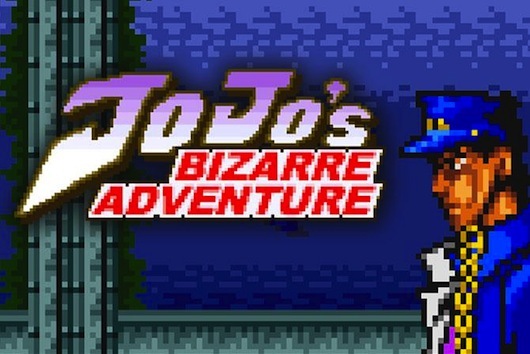 ‘JoJo’s Bizzare Adventure’ (SNES) and ‘Juvei Quest’ (NES) are both now playable in English. The former is described as ‘a fantastic hybrid blend of RPG / Point ‘n Click genres’ which sounds like something I’ll have to seek out (I believe I have the original Japanese version floating around somewhere), whereas the latter appears to be a more traditional ‘coming of age’ top down adventure. You can find the news about each game here and here respectively. Finally, as a follow-up from yesterday’s discussion about TxK the pseudo-sequel to Tempest 2000, here’s a nice interview with the Yak himself on pushsquare.com. Minter does seem very keen to work with the great hardware of the Vita, as well as discussing Sony’s positive attitude to indy developers. In regard to the contributing of music for the game, if you are that way inclined I suggest you read this thread at the Llamasoft forums. A number of tracks have already been put up for comment, with this one by Gareth Noyce being an absolute stonker and standout favourite of mine so far (shades of Tempest 2000’s soundtrack can be heard throughout). As with all of the music files put up for consideration so far, they are only works in progress, and this could disappear at any moment, so make sure you have a listen whilst it’s still up.